Titanium-nitric-oxide-coated bioactive stents in acute coronary syndrome: towards a more clear landscape! 1. Sabaté M, Brugaletta S. Nitric-oxide Coated Bioactive Titanium Stents: Safer and More Effective Than Second-generation Drug-eluting Stents? Rev Esp Cardiol. 2014;67:511-3. 2. 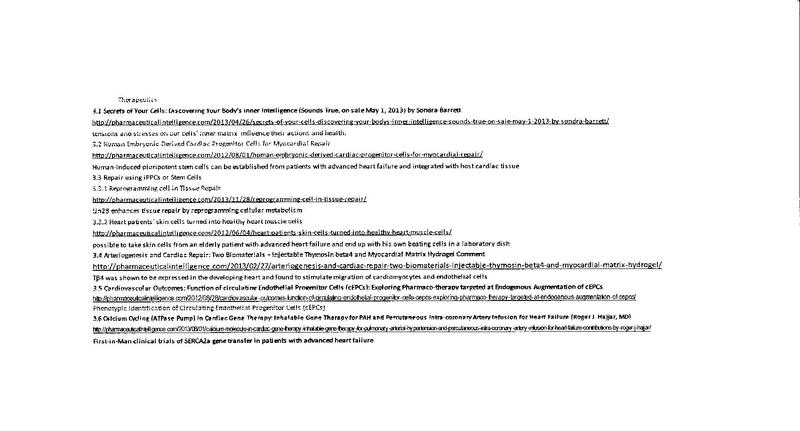 Karjalainen PP, Niemela M, Airaksinen KEJ, et al. A prospective randomized comparison of titanium-nitride-oxide-coated bioactive stents with everolimus-eluting stents in acute coronary syndrome: the BASE-ACS trial. EuroIntervention. 2012;8:1769–74. 3. Sabate M, Cequier A, In˜iguez A, et al. Everolimus-eluting stent versus bare-metal stent in ST-segment elevation myocardial infarction (EXAMINATION): 1 year results of a randomised controlled trial. Lancet. 2012;380:1482–90. 4. Romppanen H, Nammas W, Kervinen K, et al. Stent-oriented versus patient-oriented outcome in patients undergoing early percutaneous coronary intervention for acute coronary syndrome: 2-year report from the BASE-ACS trial. Ann Med. 2013;45:488-93. Nitric-oxide Coated Bioactive Titanium Stents: Safer and More Effective Than Second-generation Drug-eluting Stents? Manel Sabaté, Salvatore Brugaletta. Rev Esp Cardiol. 2014;67:511-3. KeywordsBioactive stents. Everolimus-eluting stents. Paclitaxel-eluting stents. ST-segment elevation myocardial infarction. Outcome. Bioactive stents. Everolimus-eluting stents. Paclitaxel-eluting stents. ST-segment elevation myocardial infarction. Outcome. Introduction and objectivesWe performed a pooled analysis based on patient-level data from the TITAX-AMI and BASE-ACS trials to evaluate the outcome of titanium-nitride-oxide-coated bioactive stents vs drug-eluting stents in patients with ST-segment elevation myocardial infarction at 2-year follow-up. MethodsThe TITAX-AMI trial compared bioactive stents with paclitaxel-eluting stents in 425 patients with acute myocardial infarction. The BASE-ACS trial compared bioactive stents with everolimus-eluting stents in 827 patients with acute coronary syndrome. The primary endpoint for the pooled analysis was major adverse cardiac events: a composite of cardiac death, recurrent myocardial infarction, or ischemia-driven target lesion revascularization at 2-year follow-up. ResultsThe pooled analysis included 501 patients; 245 received bioactive stents, and 256 received drug-eluting stents. The pooled bioactive stent group was associated with a risk ratio of 0.85 for major adverse cardiac events (95% confidence interval, 0.53-1.35; P = .49) compared to the pooled drug-eluting stent group. Similarly, the pooled bioactive stent group was associated with a risk ratio of 0.71 for cardiac death (95% confidence interval, 0.26-1.95; P = .51), 0.44 for recurrent myocardial infarction (95% confidence interval, 0.20-0.97; P = .04), and 1.39 for ischemia-driven target lesion revascularization (95% confidence interval, 0.74-2.59; P = .30), compared to the pooled drug-eluting stent group. These results were confirmed by propensity-score adjusted analysis of the combined datasets. ConclusionsIn patients with ST-segment elevation myocardial infarction, bioactive stents were associated with lower rates of recurrent myocardial infarction compared to drug-eluting stents at 2-year follow-up; yet, the rates of cardiac death and ischemia-driven target lesion revascularization were similar. These results demonstrate that extremely low concentrations of PAF produce vasodilatation of resistance vessels through the release of endothelium-derived relaxing factor (EDRF). This may account for the strong hypotension produced by PAF in vivo. Platelet activating factor (PAF, acetyl glyceryl ether phosphorylcholine) has been shown to produce strong and long-lasting hypotension in various animal species, e.g. normotensive and spontaneously hypertensive rats, rabbits, guinea-pigs, and dogs (Tanaka et al., 1983). This action of PAF is thought to be endothelium-dependent (Kamitani et al., 1984; Kasuya et al., 1984a,b; Shigenobu et al., 1985; 1987). In a previous study (Shigenobu et al., 1987), we found that relatively low concentrations of PAF (10-9-10-7m) produced endothelium-dependent relaxation of the rat aorta in the presence of bovine serum albumin. This vasodilator action of PAF at low concentrations might be the cause of its hypo­tensive action in vivo. While the aorta will offer a resistance to flow, it is obvious that the contribution of vessels of smaller diameter to peripheral vascular resistance is much greater. In this regard, the mesen­teric circulation of the rat receives approximately one-fifth of the cardiac output (Nichols et al., 1985) and, thus, regulation of this bed may make a signifi­cant contribution towards systemic blood pressure and circulating blood volume. Therefore, we examined the effect of PAF on the resistance vessels of the rat mesenteric vascular bed and found that extremely low concentrations (10 -11 to 3 x 10-16 m) can produce endothelium-dependent vasodilatation. Figure 1 Effects of PAF on the perfusion pressure of the methoxamine (10-3N)-constricted mesenteric vascu­lar bed. (a) Upper panel: relaxation induced by PAF (3 x 10-10 M). Lower panel: effects of the PAF-antagonist, CV-6209 (3 x 10-914), on the relaxation induced by PAF (3 x 10–“N). (b) Concentration-response curve for the relaxation produced by PAF (10-11 to 3 x 10-10N) in the methoxamine (10-51)-constricted mesenteric vascular bed. Each point is the mean and vertical bars represent the s.e.mean from 5 experiments. Figure 2 Effects of detergents on acetylcholine (ACh)-induced relaxation of the methoxamine (10-5M)-con­stricted mesenteric vascular bed. Concentration-response curves are shown for ACh-induced vasodilatation before (0) and after treatment with 0.3% CHAPS (❑) or 0.1% Triton X-100 (0). Each point is the mean and vertical bars represent the s.e.mean from 5 experiments. Infusions of extremely low concentrations of PAF (10-11 to 3.1 x 10-1° m) produced a marked and long-lasting vasodilatation which was significantly suppressed by treatment with detergents ar bed. Concentration-response curves are shown for ACh-induced vasodilatation before (0) and after treatment with 0.3% CHAPS (❑) or 0.1% Triton X-100 (0). Each point is the mean and vertical bars represent the s.e.mean from 5 experiments. Since Furchgott & Zawadzki (1980) demonstrated the obligatory role of endothelium in vascular relax­ation by ACh, many studies have suggested that endothelium-derived relaxing factor (EDRF) is re­leased from endothelial cells in response to a large number of agonists (Furchgott, 1984). In the present study with perfused resistance vessels, ACh produced vasodilatation in a concentration-dependent manner and the vasorelaxant responses were significantly suppressed by perfusion with detergents such as CHAPS or Triton X-100. These data strongly suggest the pos­sible involvement of the endothelium in the relax­ation induced by PAF. CV-6209, a PAF antagonist, inhibited PAF-induced but not ACh-induced vasodilatation in a concentration-dependent manner. Specific antago­nism by CV-6209 has already been obtained with respect to PAF-induced hypotension or platelet aggregation (Terashita et al., 1987). An accumulating body of evidence suggests that hypotension resulting from endotoxin challenge is due to the endogenous release of PAF from endothelial cells (Camussi et al., 1983), leukocytes (Demopoules et al., 1979), macro­phages (Mencia-Huerta & Benveniste, 1979; Camussi et al., 1983) and platelets (Chingard et al., 1979). Indeed, PAF antagonists can reverse estab­lished endotoxin-induced hypotension (Terashita et al., 1985; Handley et al., 1985a,b). From the above data and the results of the present study, one pos­sible explanation for endotoxin-induced hypotension may be that the release of PAF occurs, which then binds to its receptors located on the endothelial cells, stimulating production of EDRF. In conclusion, we demonstrated that extremely low concentrations of PAF produce long-lasting vasodilatation in a resistance vessel of the mesenteric vasculature. Moreover, we showed that this PAF-induced vasodilatation is mediated by a vasodilator substance released from endothelial cells (EDRF) which is not a prostaglandin. Since the PAF-induced endothelium-dependent relaxation observed in the present study was elicited at low concentrations and was long-lasting, it may be the main mechanism by which PAF induces hypotension in vivo. Background: Despite the use of anti-platelet agents such as acetylsalicylic acid (ASA) and clopidogrel in coronary heart disease, some patients continue to suffer from atherothrombosis. This has stimulated development of platelet function assays to monitor treatment effects. However, it is still not recommended to change treatment based on results from platelet function assays. This study aimed to evaluate the capacity of a static platelet adhesion assay to detect platelet inhibiting effects of ASA and clopidogrel. The adhesion assay measures several aspects of platelet adhesion simultaneously, which increases the probability of finding conditions sensitive for anti-platelet treatment. Methods: With a randomised cross-over design we evaluated the anti-platelet effects of ASA combined with clopidogrel as well as monotherapy with either drug alone in 29 patients with a recent acute coronary syndrome. Also, 29 matched healthy controls were included to evaluate intra-individual variability over time. Platelet function was measured by flow cytometry, serum thromboxane B2 (TXB2)-levels and by static platelet adhesion to different protein surfaces. The results were subjected to Principal Component Analysis followed by ANOVA, t-tests and linear regression analysis. Results: The majority of platelet adhesion measures were reproducible in controls over time denoting that the assay can monitor platelet activity. Adenosine 5′-diphosphate (ADP)-induced platelet adhesion decreased significantly upon treatment with clopidogrel compared to ASA. Flow cytometric measurements showed the same pattern (r2 = 0.49). In opposite, TXB2-levels decreased with ASA compared to clopidogrel. 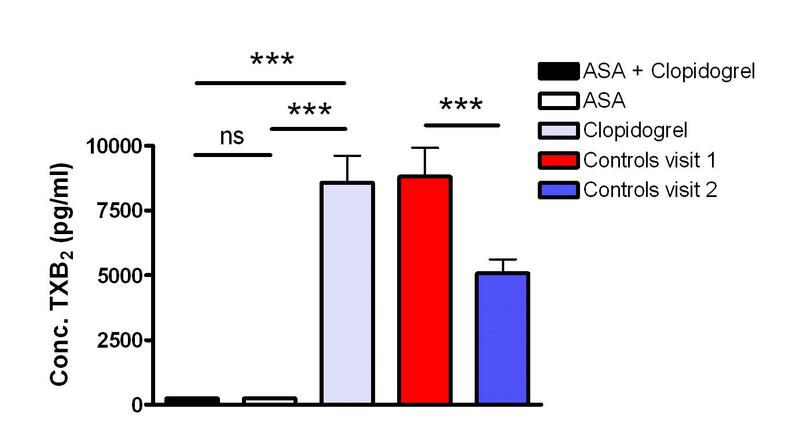 Serum TXB2 and ADP-induced platelet activation could both be regarded as direct measures of the pharmacodynamic effects of ASA and clopidogrel respectively. Indirect pharmacodynamic measures such as adhesion to albumin induced by various soluble activators as well as SFLLRN-induced activation measured by flow cytometry were lower for clopidogrel compared to ASA. Furthermore, adhesion to collagen was lower for ASA and clopidogrel combined compared with either drug alone. Conclusion: The indirect pharmacodynamic measures of the effects of ASA and clopidogrel might be used together with ADP-induced activation and serum TXB2 for evaluation of anti-platelet treatment. This should be further evaluated in future clinical studies where screening opportunities with the adhesion assay will be optimised towards increased sensitivity to anti-platelet treatment. The benefits of ASA have been clearly demonstrated by the Anti-platelet Trialists’ Collaboration. They found that ASA therapy reduces the risk by 25% of myocardial infarction, stroke or vascular death in “high-risk” patients. When using the same outcomes as the Anti-platelet Trialists’ Collaboration on a comparable set of “high-risk” patients, the CAPRIE-study showed a slight benefit of clopidogrel over ASA. Furthermore, the combination of clopidogrel and ASA has been shown to be more effective than ASA alone for preventing vascu­lar events in patients with unstable angina and myo­cardial infarction as well as in patients undergoing percutaneous coronary intervention (PCI). Despite the obvious benefits from anti-platelet therapy in coro­nary disease, low response to clopidogrel has been described by several investigators. A lot of attention has also been drawn towards low response to ASA, often called “ASA resistance”. The concept of ASA resistance is complicated for several reasons. First of all, different stud­ies have defined ASA resistance in different ways. In its broadest sense, ASA resistance can be defined either as the inability of ASA to inhibit platelets in one or more platelet function tests (laboratory resistance) or as the inability of ASA to prevent recurrent thrombosis (i.e. treatment fail­ure, here denoted clinical resistance). The lack of a general definition of ASA resistance results in difficulties when trying to measure the prevalence of this phenome­non. Estimates of laboratory resistance range from approximately 5 to 60% depending on the assay used, the patients studied and the way of defining ASA resistance. Likewise, lack of a standardized definition of low response to clopidogrel makes it difficult to estimate the prevalence of this phenomenon as well. The principles of existing platelet assays, as well as their advantages and disadvantages, have been described elsewhere. In short, assays potentially useful for monitoring treatment effects include those commonly used in research such as platelet aggregometry and flow cytometry as well as immunoassays for measuring metabolites of thromboxane A2 (TXA2). 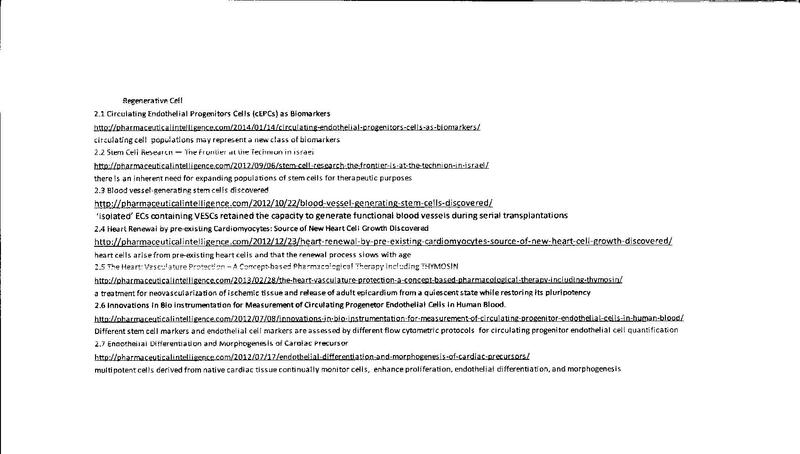 Also, the PFA-100TM, MultiplateTM and the VerifyNowTM are examples of instruments commercially developed for evaluation of anti-platelet therapy. How­ever, no studies have investigated the usefulness of alter­ing treatment based on laboratory findings of ASA resistance. Regarding clopidogrel, there are recent studies showing that adjustment of clopidogrel loading doses according to vasodilator-stimulated phosphoprotein phosphorylation index measured utilising flow cytometry decrease major adverse cardiovascular events in patients with clopidogrel resistance. Static adhesion is an aspect of platelet function that has not been investigated in earlier studies of the effects of platelet inhibiting drugs. Consequently, static platelet adhesion is not measured by any of the current candidate assays for clinical evaluation of platelet function. The static platelet adhesion assay offers an opportunity for simultaneous measurements of the combined effects of several different platelet activators on platelet function. 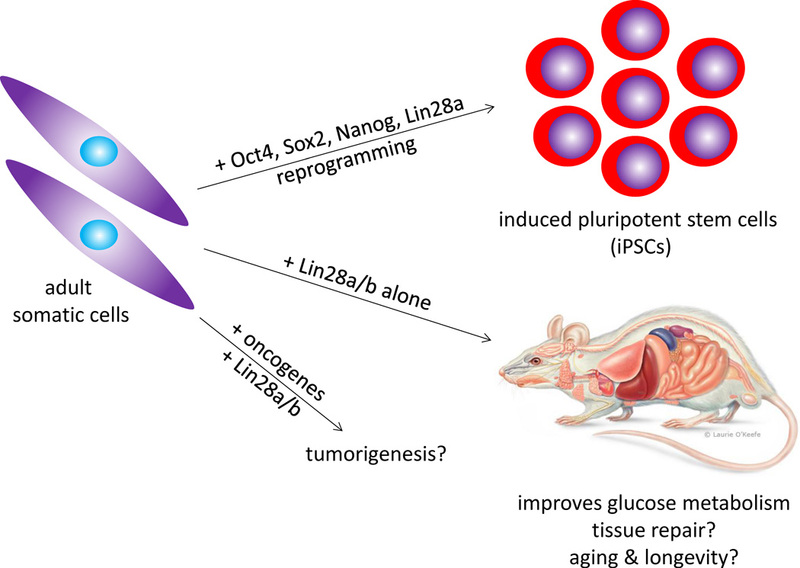 In this study, platelet adhesion to albumin, collagen and fibrinogen was investigated in the presence of soluble platelet activators including adenosine 5′-diphosphate (ADP), adrenaline, lysophosphatidic acid (LPA) and ris-tocetin. Collagen, fibrinogen, ADP and adrenaline are physiological agents that are well-known for their interac­tions with platelets. Ristocetin is a compound derived from bacteria that facilitates the interaction between von Willebrand factor (vWf) and glycoprotein (GP)-Ib-IX-V on platelets, which otherwise occurs only at flow condi­tions. The static nature of the assay therefore prompted us to include ristocetin in order to get a rough estimate on GPIb-IX-V dependent events. LPA is a phospholipid that is produced and released by activated platelets and that also can be generated through mild oxi­dation of LDL. It was included in the present study since it is present in atherosclerotic vessels and suggested to be important for platelet activation after plaque rup­ture. Finally, albumin was included as a surface since the platelet activating effect of LPA can be detected when measuring adhesion to such a surface. Thus, by the use of different platelet activators, several measures of platelet adhesion were obtained simultaneously This means that the possibilities to screen for conditions potentially important for detecting effects of platelet-inhibiting drugs far exceeds the screening abilities of other platelet function tests. Consequently, the static platelet adhesion assay is very well suited for development into a clinically useful device for monitoring platelet inhibiting treatment. Also, it has earlier been proposed that investi­gating the combined effects of two activators on platelet activity might be necessary in order to detect effects of ASA and other antiplatelet agents . This is a criterion that can easily be met by the static platelet adhesion assay. Through the screening procedure we found different con­ditions where the static adhesion was influenced by the drug given. The inclusion of patients and controls. Patients and controls were included consecutively. Blood samples from controls were drawn at two different occasions separated by 2–5.5 months. All patients entering the study received ASA combined with clopidogrel and blood sampling was performed 1.5–6.5 months after initiating the treatment. This was followed by a randomised cross-over enabling all patients to receive monotherapy with both ASA and clopidogrel. The patients received monotherapy for at least 3 weeks and for a maximum of 4.5 months before performing blood sampling. A total of 33 patients and 30 controls entered the study. In the end, 29 patients and 29 controls completed the study. Blood was drawn from patients at three different occa­sions (Figure 1). The first sample was drawn after all patients had received combined treatment with ASA (75 mg/day) and clopidogrel (75 mg/day) for 1.5–6.5 months after the index event. The study then used a randomised cross-over design meaning that half of the patients received ASA as monotherapy while half received only clopidogrel (75 mg/day for both monotherapies). The monotherapy was then switched for every patient so that all patients in total received all three therapies. Samples for evaluation of the monotherapies were drawn after therapy for at least 3 weeks and at the most for 4.5 months. Most of the differences in treatment length can be ascribed to the fact that the national recommendations for treatment in this patient group were changed during the course of the study. The allocation to monotherapy was blinded for the laboratory personnel. In general, the use of three different treatments for intra-individual com­parisons in a cross-over design is different from previous studies on ASA and clopidogrel, which have mainly been concerned with only two treatment alternatives. With the aim of finding variables sensitive to clopidogrel and ASA-treatment, this study used a screening approach and measured several different variables simultaneously. To reduce the complexity of the material we performed PCA in order to find correlating variables that measured the same property. In this way the 54 measurements of platelet adhesion were reduced to 8 factors. Visual inspec­tion revealed that each factor represented a separate entity of platelet adhesion and the factors could therefore be renamed according to the aspect they measured. We thus conclude that future studies must not involve all 54 adhe­sion variables, but instead, one variable from each factor should be enough to cover 8 different aspects of platelet adhesion. In addition to the adhesion data, the remaining 15 variables also formed distinct factors that were possible to rename according to measured property. It is notable that serum TXB2 formed a distinct group not correlated to any of the other measurements. It is important that laboratory assays used for clinical pur­poses are reproducible and that they measure parameters that are not confounded by other variables. Some of the measurements performed in this study (clinical chemistry variables and platelet function measured by flow cytome-try) are used for clinical analysis at accredited laboratories at the University hospital in Linköping. However, the reproducibility of the platelet adhesion assay was mostly unknown before this study. Our initial results suggested that the factors corresponding to ADP-induced adhesion and adhesion to fibrinogen were not reproduci­ble. We therefore excluded the most varied variables con­stituting these factors, which resulted in no intra-individual effects for healthy controls in the platelet adhe­sion assay. From this we conclude that many, but not all, measures of platelet adhesion are reproducible. Moreover, the static condition might limit the possibilities for trans­lating the results from the adhesion assay into in vivo platelet adhesion occurring during flow conditions. How­ever, platelet adhesion to collagen and fibrinogen is dependent on α2131– and αIIb133-receptors respectively in the current assay. This suggests that the static platelet adhesion assay can measure important aspects of platelet function despite its simplicity. Furthermore, vWf depend­ent adhesion is not directly covered in the present assay although ristocetin-induced adhesion appears to be dependent on GPIb-IX-V and vWf . From this discussion it is evident that the adhesion assay as well as flow cytometry can measure effects of clopidog-rel when using ADP as activating stimuli. It is also evident that serum-TXB2 levels measure the effects of ASA. How­ever, these measures focus on the primary interaction between the drugs and the platelets, which could be prob­lematic when trying to evaluate the complex in vivo treat­ment effect. It has previously been found that only 12 of 682 ASA-treated patients (≈ 2%) had residual TXB2 serum levels higher than 2 standard deviations from the popula­tion mean. Measurements of the effect of arachidonic acid on platelet aggregometry have also led to the conclu­sion that ASA resistance is a very rare phenomenon. Thus, our study supports these previous findings that assays measuring the pharmacodynamic activity of ASA (to inhibit the COX-enzyme) seldom recognizes patients as ASA-resistant. This suggests that the cause of ASA-resistance is not due to an inability of ASA to act as a COX-inhibitor. We suggest that direct measurements of ADP and TXA2-effects (in our case ADP-induced activation measured by adhesion or flow cytometry and serum TXB2-levels) must be combined with measures that are only partly dependent on ADP and TXA2 respectively. For instance, an adhesion variable partly dependent on TXA2 might be able to detect ASA resistance caused by increased signalling through other activating pathways. Such a scenario would be character­ized by serum TXB2 values showing normal COX-inhibi­tion while platelet adhesion is increased. This study employed a screening procedure in order to find such indirect measures of the effects of ASA and clopidogrel. Our results show inhibiting effects of clopidogrel com­pared to ASA on adhesion to albumin in the presence of LPA or ristocetin. This was also observed for our flow cytometric measurements with SFLLRN as activator, which confirms that SFLLRN is able to induce release of granule contents in platelets. 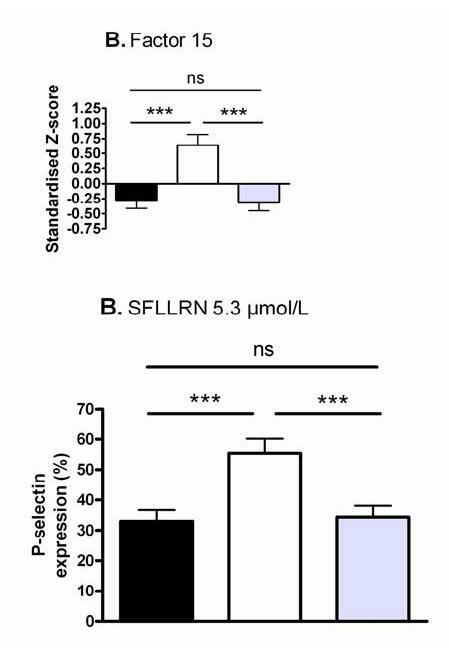 SFLLRN- and ADP-induced platelet activation, as measured by flow cytometry, was moderately correlated to each other and adhesion induced by LPA as well as ristocetin showed weak correla­tions with ADP-induced adhesion. These results further confirm that these measures of platelet activity are partly dependent on ADP. We have earlier shown that adhesion to albumin induced by simultaneous stimulation by LPA and adrenaline (a variable belonging to the LPA-factor in the present study) can be inhibited by inhibition of ADP-signalling in vitro. This strengthens our conclusion that the effect on LPA-induced adhesion observed for clopidogrel is caused by inhibition of ADP-signalling. Also, the presence of LPA in atherosclerotic plaques and its possible role in thrombus formation after plaque rup­ture makes it especially interesting for the in vivo set­ting of myocardial infarction. Assays of static platelet adhesion that have been used in previous studies aimed at investigating treatment effects of platelet inhibiting drugs. Importantly, this study shows that the static platelet adhesion assay is reproducible over time. We also showed that the static platelet adhesion assay as well as flow cytometry detected the ability of clopidogrel to inhibit platelet activation induced by ADP. Our results further suggest that other measures of platelet adhesion and platelet activation measured by flow cytometry are indirectly dependent on secreted ADP or TXA2. One such measure is adhesion to a collagen surface, which should be more thoroughly investigated for its ability to detect effects of clopidogrel and ASA. Likewise, due to its connection to atherosclerosis and myocardial infarction, the LPA-induced effect should be further evaluated for its ability to detect effects of clopidogrel. In conclusion, the screening procedure undertaken in this study has revealed suggestions on which measures of platelet activity to com­bine in order to evaluate platelet function. Activated normal platelets produce vasodilation via release of platelet-derived adenosine diphosphate (ADP), which in turn stimulates the release of endothelium-derived nitric oxide (EDNO) . EDNO causes vascular smooth muscle relaxation and inhibits platelet aggregation and excessive thrombus formation. Recent reports suggest that platelets from patients with diabetes mellitus lack the ability to produce EDNO-dependent vasodilation. This platelet defect can be reproduced in vitro by exposure of normal human platelets to high glucose concentrations, in a time and concentration dependent manner. This glucose-induced platelet defect appears to involve activation of the cyclo-oxygenase pathway, including thromboxane synthase. However, it remains unknown how exposure of platelets to high concentrations of glucose in vivo or in vitro, leads to increased activity of these enzymes. 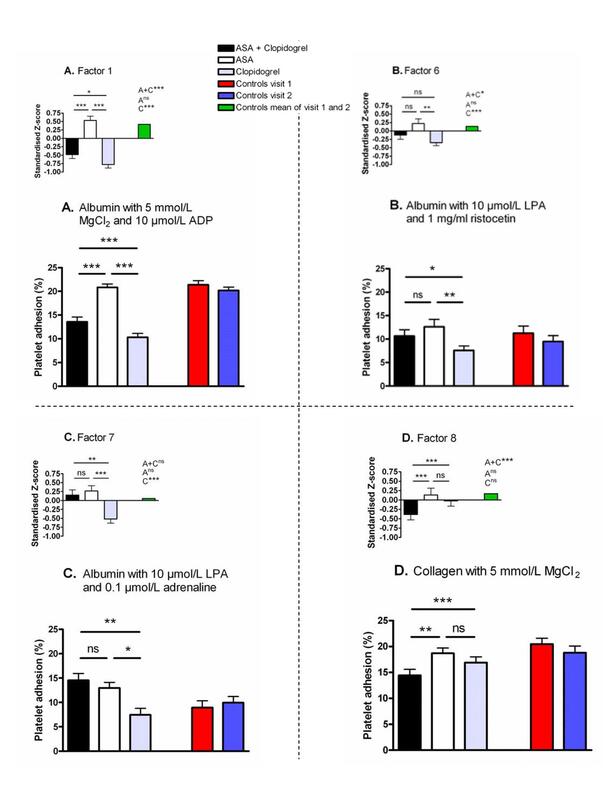 Previous studies indicate that high glucose concentrations mediate some of their adverse biologic effects via the polyol pathway high glucose increases intracellular diacylglycer-ol (DAG) levels, upregulates protein kinase C (PKC) activity and can lead to increased arachidonic acid release via PKC-mediated increase in phospholipase A2 activity, which in turn increases activity of cyclo-oxygenase. In this study we explore the possible role of these metabolic pathways in mediating the inability of diabetic and hyperglycaemia-induced platelets to produce vasodilation. In this study we show that in vitro incubation of normal human platelets in high glucose causes a significant increase in platelet DAG levels, which is evident after 30 min. In summary, the results of this study along with recently published data (Oskarsson & Hofmeyer 1997; Oskarsson et al., 1997) suggest that high glucose levels cause an increase in platelet DAG that upregulates the activity of PKC, which in turn increases the activity of phospholipase A2 that causes release of arachidonic acid which leads to increased activity of cyclo-oxygenase and thromboxane synthase in platelets (Oskarsson et al., 1997). 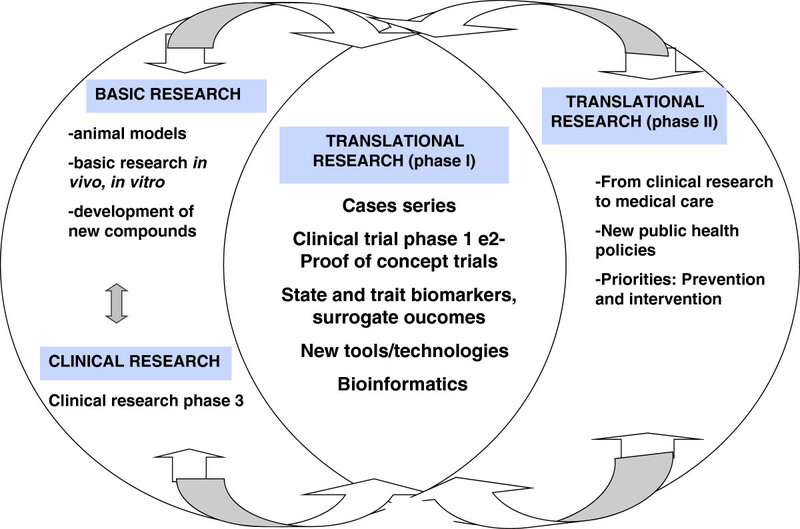 From a clinical perspective this pathway is of considerable interest since it lends itself to therapeutic interventions with inhibitors both at the level of cyclo-oxygenase and the thromboxane-synthase. OSKARSSON, H.J. & HOFMEYER, T.G. (1996). Platelet-mediated endothelium-dependent vasodilation is impaired by platelets from patients with diabetes mellitus. J. Am. Coll. Cardiol., 27, 1464 – 1470. OSKARSSON, H.J. & HOFMEYER, T.G. (1997). Diabetic human platelets release a substance which inhibits platelet-mediated vasodilation. Am. J. Phys., 273, H371 – H379. OSKARSSON, H.J., HOFMEYER, T.G. & KNAPP, H.R. (1997). Malondialdehyde inhibits platelet-mediated vasodilation by interfering with platelet-derived ADP. JACC, 29 (Suppl A): 304A. Vascular injury—whether caused by spontaneous rupture of atherosclerotic plaque, plaque erosion, or PCI-related or other trauma—exposes adhesive proteins, tissue factor, and lipids promoting platelet tethering, adhesion, and activation. Once bound and activated, platelets release soluble mediators such as ADP, thromboxane A2, and serotonin and facilitate throm­bin generation. These mediators, in turn, stimulate GPCRs on the platelet surface that are critical to initiation of various intracellular signaling pathways, including activa­tion of phospholipase C (PLC), protein kinase C (PKC), and phosphoinositide (PI)-3 kinase. Both calcium and PKC con­tribute to activation of the small G protein, Recently, members of the kindlin family of focal adhesion proteins have been identified as integrin activators, perhaps functioning to facilitate talin–integrin interactions. Figure. 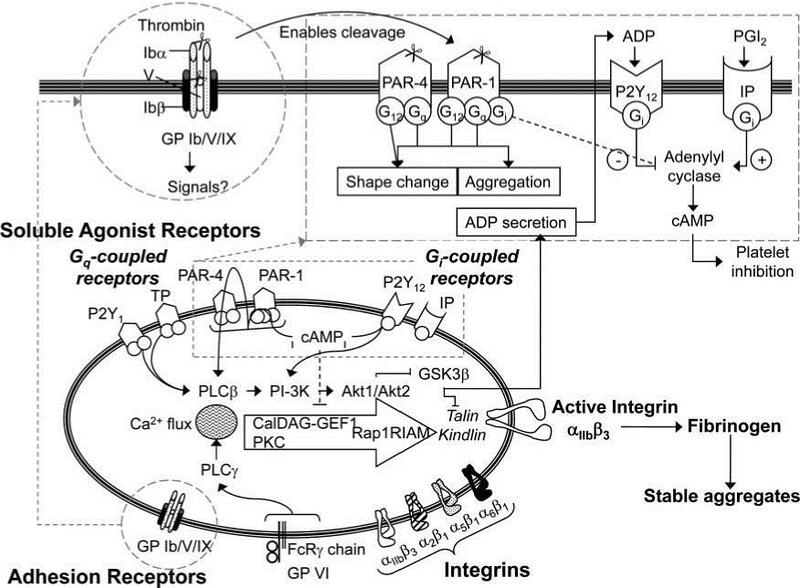 Role of G protein–coupled receptors in the thrombotic process. In humans, protease-activated receptors (PAR)-1 and PAR-4 are coupled to intracellular signaling pathways through molecular switches from the Gq, G12, and Gi protein families. When thrombin (scissors) cleaves the amino-terminal of PAR-l and PAR-4, several signaling pathways are activated, one result of which is ADP secretion. By binding to its receptor, P2Y12, ADP activates additional Gi-mediated pathways. In the absence of wounding, platelet activation is counteracted by signaling from PG I2 (PGI2). Adapted from references 26–28 with permission. 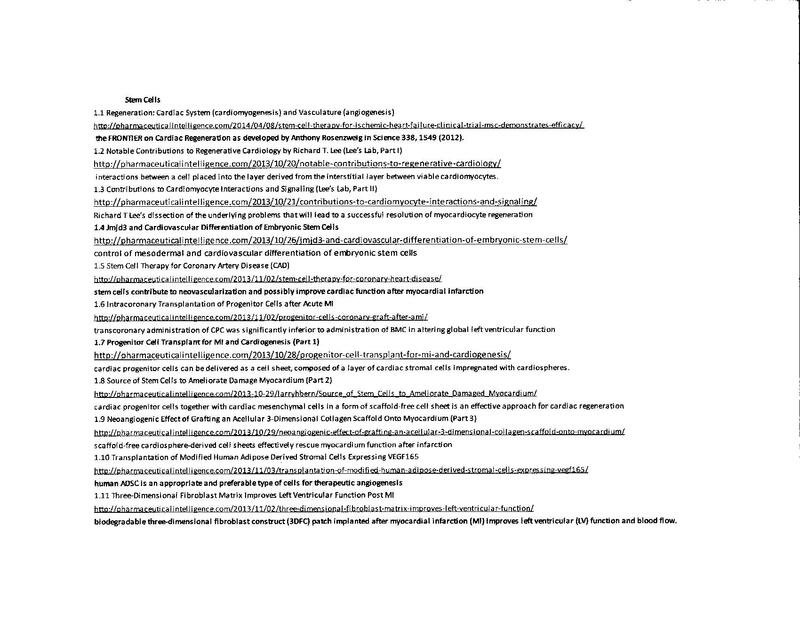 Ca2 indicates calcium; CalDAG-GEF1, calcium and diacylglcerol-regulated guanine-nucleotide exchange factor 1; GP, glycoprotein; IP, prostacyclin; PKC, pro­tein kinase C; PLC, phospholipase C; RIAM, Rap1-GTP–interacting adapter molecule. Given the clinical success of the P2Y12 antagonists, it is worthwhile to investigate other purinergic signaling pathways in platelets. Although platelets have 2 P2Y receptors acting synergistically through different signaling pathways, the overall platelet response to ADP is relatively modest. For example, ADP alone elicits only reversible responses and does not promote platelet secretion. The low number of ADP receptors on the platelet surface also may limit signal­ing. Thrombin, the most potent platelet agonist, has diverse effects on various vascular cells. For example, thrombin promotes chemotaxis, adhesion, and inflammation through its effects on neutrophils and monocytes. Thrombin also influ­ences vascular permeability through its effects on endothelial cells and triggers smooth muscle vasoconstriction and mitogenesis.54 Thrombin interacts with 2 protease-activated receptors (PARs) on the surface of human platelets—PAR-1 and PAR-4. Signaling through the PARs is triggered by thrombin-mediated cleavage of the extracellular domain of the receptor and exposure of a “tethered ligand” at the new end of the receptor (Figure 1). Signaling through either PAR can activate PLC and PKC and cause autoamplification through the production of thromboxane A2, the release of ADP, and generation of more thrombin on the platelet surface. The expression profiles of PARs on platelets differ between humans and nonprimates. Mouse platelets lack PAR-1 and largely signal through PAR-4 in response to thrombin, with PAR-3 serving a cofactor function. Platelets from cynomol-gus monkeys contain primarily PAR-1 and PAR-4, and a peptide-mimetic PAR-1 antagonist extends the time to throm­bosis after carotid artery injury. The nonpeptide antagonist SCH 530348 (described below) inhibits thrombin- and PAR-1 agonist peptide (TRAP)-induced platelet aggregation (inhibitory concentrations of 47 nmol/L and 25 nmol/L, respectively), but it has no effect on ADP, collagen, U46619, or PAR-4 agonist peptide stimulation of platelets. SCH 530348 has excellent bioavailability in rodents and monkeys (82%; 1 mg/kg) and completely inhibits ex vivo platelet aggregation in response to TRAP within 1 hour of oral administration in monkeys with no effect on prothrombin or activated partial thromboplastin times. Of the PAR-1 antagonists, SCH 530348 and E5555 are the compounds farthest along in development and clinical testing. SCH 530348 is an oral reversible PAR-1 antagonist de­rived from himbacine, a compound found in the bark of the Australian magnolia tree. In clinical trials, 68% of patients showed ~80% inhibition of platelet aggregation in response to thrombin receptor activating peptide (TRAP; 15 mol/L) 60 minutes after receiving a 40-mg loading dose of SCH 530348. By 120 minutes, the proportion had risen to 96%. In a Phase 2 trial of SCH 530348, 1031 patients scheduled for angiography and possible stenting were randomized to re­ceive SCH 530348 or placebo plus aspirin, clopidogrel, and antithrombin therapy (heparin or bivalirudin). Major and minor bleeding did not differ substantially between the placebo and individual or combined SCH 530348 groups. Activation and signaling of PAR-1 and PAR-4 provoke a biphasic “spike and prolonged” response, with PAR-1 acti­vated at thrombin concentrations 50% lower than those required to activate PAR-4. A 4-amino acid segment, YEPF, on the extracellular domain of PAR-1 appears to account for the receptor’s high-affinity interactions with thrombin. The YEPF sequence has homology to the COOH-terminal of hirudin and its synthetic GEPF analog, bivaliru-din, which can interact with exosite-1 on thrombin. 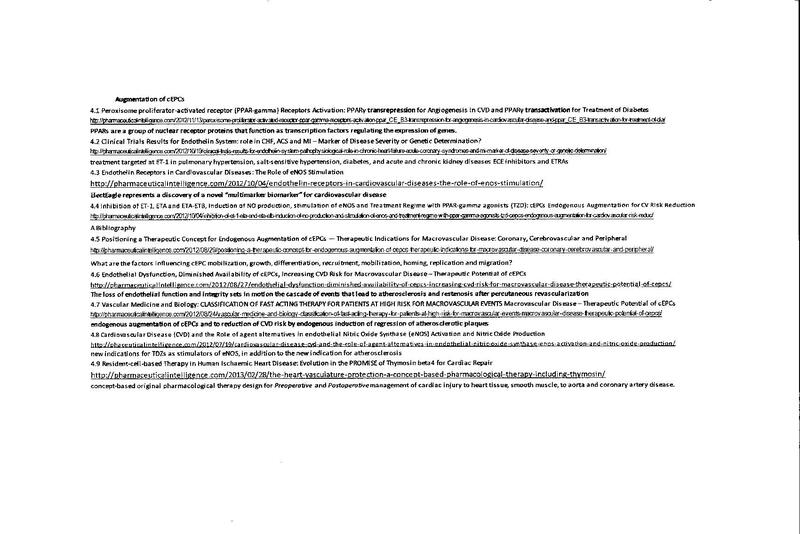 Thus, thrombin may interact in tandem with PAR-1 and PAR-4, with the initial interactions involving exosite-1 and PAR-1, and subsequent docking at PAR-4 via the thrombin active site.56 PAR-1 and PAR-4 may form a stable heterodimer that enables thrombin to act as a bivalent functional agonist, rendering the PAR-1–PAR-4 heterodimer complex a unique target for novel antithrombotic therapies. Pepducins, or cell-permeable peptides derived from the third intracellular loop of either PAR-1 or PAR-4, disrupt signaling between the receptors and G proteins and inhibit thrombin-induced platelet aggregation. In mice, a PAR-4 pepducin has been shown to prolong bleeding times and attenuate platelet activation. Combining bivalirudin with a PAR-4 pepducin (P4pal-i1) inhibited aggregation of human platelets from 15 healthy volunteers, even in response to high concentrations of thrombin. In addition, although bivaliru-din and P4pal-i1 each delayed the time to carotid artery occlusion after ferric chloride-induced injury in guinea pigs, their combination prolonged the time to occlusion more than did bivalirudin alone. Additional blockade of the PAR-4 receptor may confer a benefit beyond that achieved by inhibition of thrombin activity. Thromboxane A2 acts on the thromboxane A2/prostaglandin (PG) H2 (TP) receptor, causing PLC signaling and platelet activation. Several drugs have been tested and developed that prevent thromboxane synthesis—most notably, aspirin. 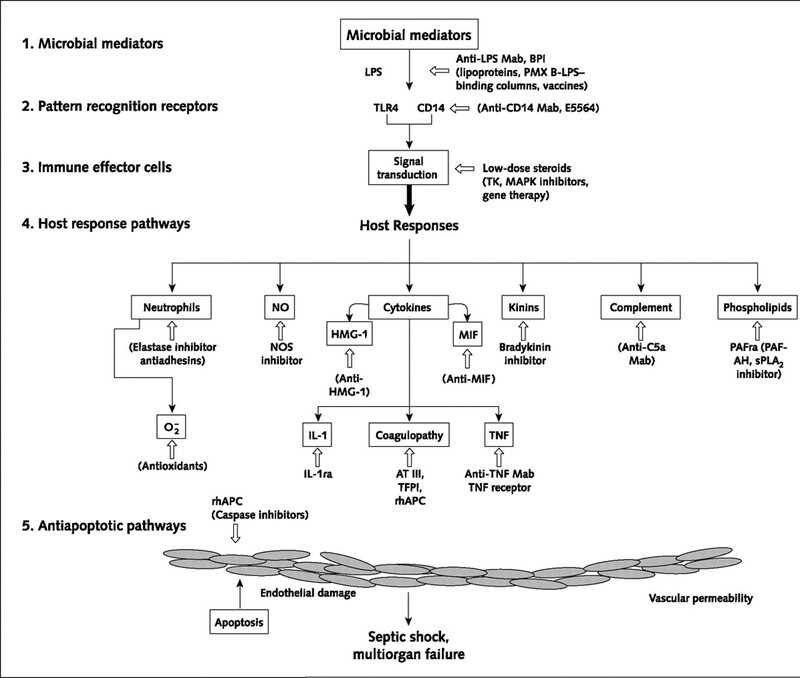 Be­yond the documented success of aspirin, however, results have been uniformly disappointing with a wide variety of thromboxane synthase inhibitors. Likewise, a multitude of TP receptor antagonists have been developed, but few have progressed beyond Phase 2 trials because of safety concerns. More recently, the thromboxane A2 receptor antagonist terutroban (S18886) showed rapid, potent inhibition of platelet aggregation in a porcine model of in-stent thrombosis that was comparable to the combination of aspirin and clopidogrel but with a more favorable bleeding profile. Ramatroban, another TP inhibitor approved in Japan for treatment of allergic rhinitis, has shown antiaggre-gatory effects in vitro comparable to those of aspirin and cilostazol. Signaling pathways stimulated by GPCR activation are es­sential for thrombus formation and may represent potential targets for drug development. One pathway involved in platelet activation is signaling through lipid kinases. PI-3 kinases transduce signals by generating lipid second­ary messengers, which then recruit signaling proteins to the plasma membrane. A principal target for PI-3K signaling is the protein kinase Akt (Figure 1). Platelets contain both the Akt1 and Akt2 isoforms.28 In mice, both Akt1 and Akt2 are required for thrombus formation. Mice lacking Akt2 have aggregation defects in response to low concentrations of thrombin or thromboxane A2 and corresponding defects in dense and a-granule secretion. The Akt isoforms have multiple substrates in platelets. Glycogen synthase kinase (GSK)-3(3 is phosphorylated by Akt in platelets and sup­presses platelet function and thrombosis in mice. Akt-mediated phosphorylation of GSK-3(3 inhibits the kinase activity of the enzyme, and with it, its suppression of platelet function. Akt activation also stimulates nitric oxide produc­tion in platelets, which results in protein kinase G–dependent degranulation. Finally, Akt has been implicated in activa­tion of cAMP-dependent phosphodiesterase (PDE3A), which plays a role in reducing platelet cAMP levels after thrombin stimulation.67 Each of these Akt-mediated events is expected to contribute to platelet activation. Rap1 members of the Ras family of small G proteins have been implicated in GPCR signaling and integrin activation. Rap1b, the most abundant Ras GTPase in platelets, is activated rapidly after GPCR stimulation and plays a key role in the activation of integrin aIIb(3) Stimulation of Gq-linked receptors, such as PAR-4 or PAR-1, activates PLC and, with consequent increases in intracellular calcium, PKC. These signals in turn activate calcium and diacylglcerol-regulated guanine-nucleotide exchange factor 1 (CalDAG-GEF1), which has been implicated in activation of Rap1 in plate-lets. Experiments in CalDAG-GEF1-deficient platelets indicate that PKC- and CalDAG-GEF1–dependent events represent independent synergistic pathways leading to Rap1-mediated integrin aIIb(33 activation. Consistent with this concept, ADP can stimulate Rap1b activation in a P2Y12– and PI-3K-dependent, but calcium-independent, manner. A final common step in integrin activation involves bind­ing of the cytoskeletal protein talin to the integrin-(33-subunit cytoplasmic tail. Rap1 appears to be required to form an activation complex with talin and the Rap effector RIAM, which redistributes to the plasma membrane and unmasks the talin binding site, resulting in integrin activation. Mice that lack Rap1b or platelet talin have a bleeding disorder with impaired platelet aggregation because of the lack of integrin aIIb( (33 activation. In contrast, mice with a integrin-(33 subunit mutation that prevents talin binding have impaired agonist-induced platelet aggregation and are protected from throm­bosis, but do not display pathological bleeding, suggest­ing that this interaction may be an attractive therapeutic target. Recently, members of the kindlin family of focal adhesion proteins, kindlin-2 and kindlin-3, have been identi­fied as coactivators of integrins, required for talin activation of integrins. Kindlin-2 binds and synergistically en­hances talin activation of aIIb. Of note, deficiency in kindlin-3, the predominant kindlin family member found in hematopoietic cells, results in severe bleeding and protection from thrombosis in mice. Antiplatelet therapy targeting thromboxane production, ADP effects, and fibrinogen binding to integrin aIIb(33 have proven benefit in preventing or treating acute arterial thrombosis. New agents that provide greater inhibition of ADP signaling and agents that impede thrombin’s actions on platelets are currently in clinical trials. Emerging strategies to inhibit platelet function include blocking alternative platelet GPCRs and their intracellular signaling pathways. The challenge remains to determine how to best combine the various current and pending antiplatelet therapies to maximize benefit and minimize harm. It is well documented that aspirin therapy increases bleeding compared with pla­cebo; that when clopidogrel is added to aspirin therapy, bleeding increases relative to the use of aspirin therapy alone; and that when even greater P2Y12 inhibition with prasugrel is added to aspirin therapy, bleeding is further increased com­pared with the use of clopidogrel and aspirin combination therapy. Does this mean that improved antiplatelet efficacy is mandated to come at the price of increased bleeding? Not necessarily, but it will require a far better understanding of platelet signaling pathways and what aspects of platelet function must be blocked to minimize arterial thrombosis. One of the best clinical examples of the disconnect between antiplatelet-related bleeding and antithrombotic ef­ficacy is the case of the oral platelet glycoprotein (GP) IIb/IIIa antagonists. The use of these agents uniformly led to significantly greater bleeding compared with aspirin but no greater efficacy; in fact, mortality was increased among patients receiving the oral glycoprotein IIb/IIIa inhibitors.77 Through an improved understanding of platelet signaling pathways, antiplatelet therapies likely can be developed not based on their ability to inhibit platelets from aggregating, as current therapies are, but rather based on their ability to prevent the clinically meaningful consequences of platelet activation. What exactly these are remains the greatest obstacle.